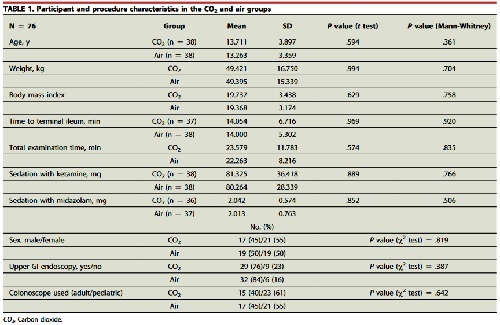 The focus of this study was to prove for the first time in children that CO2 insufflation during endoscopy is better and associated with less discomfort than air insufflation. It was never done before in children. If we can change the guidelines regarding colonoscopy procedure, children will have less abdominal pain after colonoscopy. The results confirmed that air insufflation is connected with more side effects in comparison to CO2 insufflation. A similar study should be performed with percutaneous gastrostomy and all other endoscopic procedures of longer duration.